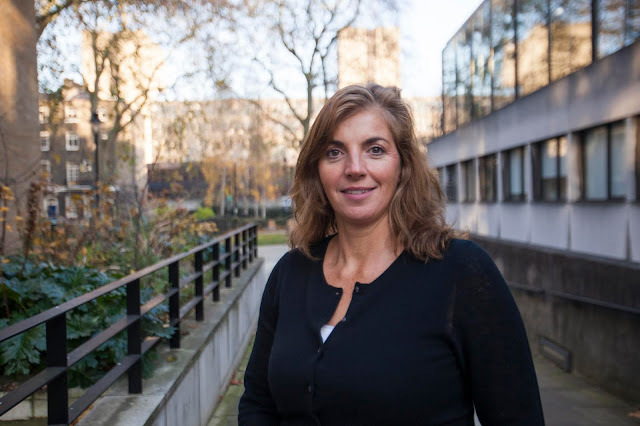 Meet Clare Elwell, Professor of Medical Physics at University College London (UCL), Director of the Near Infrared Spectroscopy Group in the Biomedical Optics Research Lab, and global health advocate. 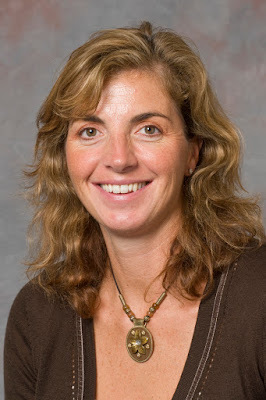 Among her students, Elwell is highly regarded as an inspiration to others in her department and an excellent supervisor. "When I mention that Clare is my supervisor," says UCL PhD Candidate Laura Katus, "people reliably respond along the lines of: ‘Really? She’s so cool!’ quite often followed by an ‘I want to be like her.’ What makes Clare such a fantastic supervisor, speaker, and group leader, is her ability to pitch whatever topic to precisely the right level, giving everyone in the room the feeling of being on eye level and an integral part of the academic mission." 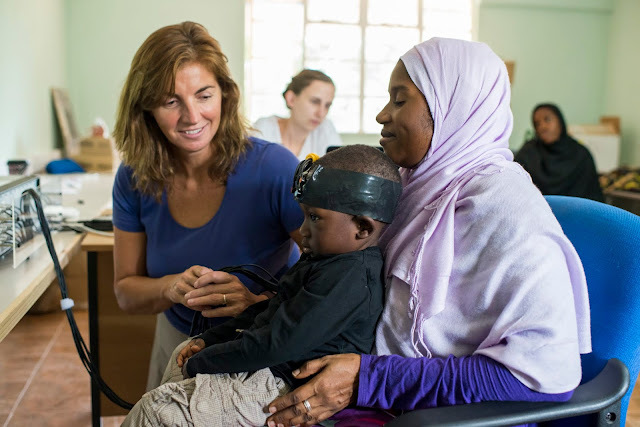 Elwell has dedicated herself to thinking outside the box when it comes to applications of her technology, specifically how it they can address global health challenges. 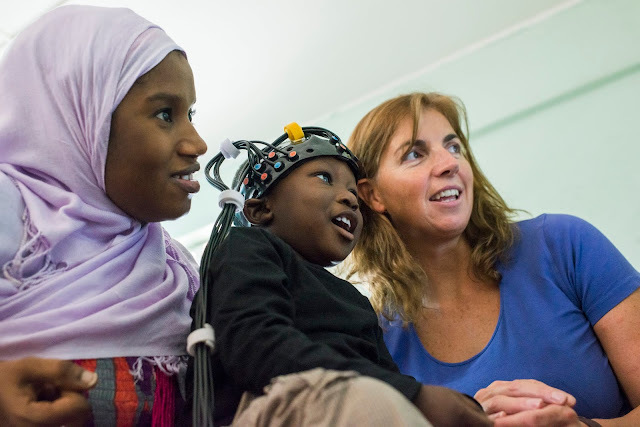 For the Gates Foundation-funded BRIGHT (BRain Imaging for Global HealTh) project, for example, she and her team use Functional Near Infrared Spectroscopy (fNIRS) to investigate the impact of malnutrition on infant brain development in The Gambia, as well as conducting the first brain imaging of infants in Africa. "We had been using NIRS for decades in high-resource settings, unaware of the unmet need for it in a global health project," says Elwell. "It is inspiring to see how the community has responded to our efforts. 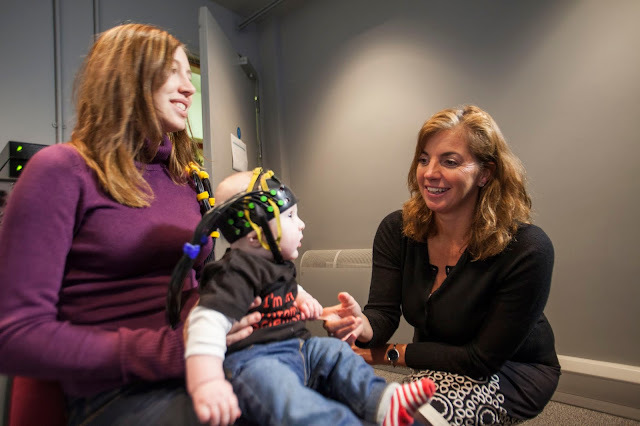 Now, Global fNIRS is an entire new research field." Leading BRIGHT isn't the only globally focused project Elwell is involved in. She founded YoSA (Young Scientists for Africa) in order to provide African students with an opportunity to take part in international science event. "I attended the London International Youth Science Forum (LIYSF) when I was 17, and it genuinely changed my life," she says. In fact, Elwell is currently president of the LIYSF. "Africa is chronically under-represented at international science events, yet Africa's young scientists are critical to changing the future of the continent. YoSA scholarships provide them with a life-changing opportunity to connect with and learn from international science leaders, and to collaborate with other talented young scientists from all over the world. Ideally, meeting at such events also builds a network of young African scientists who then connect at initiatives such as the Next Einstein Forum." It is clear that both BRIGHT and YoSA are projects near and dear to Elwell's heart. We look forward to having her deliver a Hot Topics invited talk at the 2019 SPIE Photonics West BiOS Conference on the work she has done which has tremendously impacted the imaging community. Her talk, titled "New Frontiers in Near-infrared Spectroscopy", will be on 2 February at 7:00 PM. In the meantime, please enjoy her interview with SPIE's Faces of Photonics. During my master's degree, I used pulse oximetry as part of a sleep-study system I was setting up to get continuous measures of changes in oxygenation during sleep apnea. I was introduced to the work of bioengineer and professor of medical photonics Dave Delpy and others at UCL who were developing near infrared spectroscopy systems for monitoring acute brain injury in preterm infants. When I joined their team, I became inspired to understand how we can optimize optical systems for applications in the clinical and life sciences. I develop near infrared spectroscopy (NIRS) systems to monitor and image the human body. My research projects include studies of autism, sports performance, migraine, malaria, and acute brain injury in adults, children and infants. My work impacts society by providing non-invasive methods for investigating the human body, in health and disease. 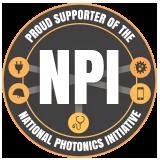 I am really excited to see how we can harness photonics for applications in resource-poor settings, particularly for low-cost and easy-to-implement diagnostics and monitoring. As physicists and engineers we get focused on making high-tech higher tech. I'd like to encourage others to think about how their innovations could be used to solve problems in low-tech environments, particularly in the field of global health where STEM can play a vital role in addressing a range of challenges.